Instagrams original and longest active running swimmer problems meme account. 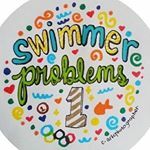 Started in August 2012, Swimmer_Problems1 has gained the trust of their followers from thousands of funny and relatable posts. Demographic data for @swimmer_problems1's audience is available for free to influence.co users.